In the recent history of wine, it’s hard to think of a bigger success story than New Zealand Sauvignon Blanc. 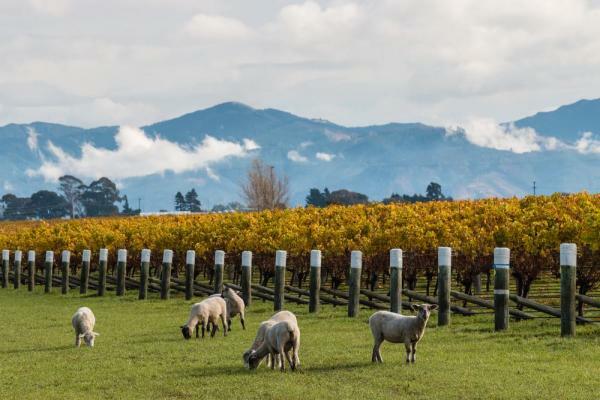 People famously complain that the fastest way to earn a small fortune in the wine business is to start with a bigger one, but commercial Kiwi Sauvignon Blanc proves that the opposite can be true. Generously cropped, machine-picked, stainless steel-fermented and on a supermarket shelf within a few weeks of the harvest, it’s one of the most profitable wine styles of all, enjoying a premium image that it rarely deserves. £7.99 for something that tastes of gooseberry juice and residual sugar? That will do nicely. In fact, ask consumers which nation makes the best Sauvignon Blanc on the planet, and most of them will say New Zealand. Very few countries have cornered the market in a single, popular variety like the Kiwis. Italian Pinot Grigio comes close, but it’s sold at a much lower price and some of it is Trebbiano anyway. Not that the Italians are the only people who resort to a spot of creative blending. A Chilean winemaker friend of mine once told me that when he worked at a winery in Marlborough, one of his jobs was to mix South American bulk Sauvignon with local wine, before adding some sugar. Allegedly, of course. The remarkable thing about the rise and rise of New Zealand Sauvignon Blanc is just how quickly it has happened. There were no plantings of the variety in the South Island, which includes the all-powerful Marlborough region, until 1973. And look at them now. At the most recent count, the country has over 22,000 hectares of Sauvignon Blanc, closing fast on France’s position as the number one global producer of the variety at around 27,000 hectares. You could justifiably argue that the success story is even more dramatic, beginning not in 1973, but with the first, brilliantly marketed vintage of Cloudy Bay Sauvignon in 1986. As an aside, it’s one of the more amusing facts about the New Zealand wine industry that the brand which changed the face of the variety was very nearly called something else entirely: Farewell Spit. Before I am struck off the Christmas card lists of every Kiwi winemaker, I should say that there are some New Zealand Sauvignons I enjoy drinking – Cloudy Bay, Craggy Range, Dog Point, Greywacke, Jules Taylor, Seresin Estate and some of the bottlings from Yealands and Villa Maria among others – but I really can’t remember the last time I bought a bottle of any of them. As several of my colleagues flew to Marlborough to attend the first International Sauvignon Blanc Celebration two years ago, I discovered a pressing engagement with my sock drawer. Arguably the biggest problem with New Zealand Sauvignon Blanc is the influence it has had outside the country. It’s not just the idiotically named Kiwi Cuvée, produced in the Loire Valley by the French company Lacheteau, it’s also the me-too styles that are produced in countries like Chile, South Africa and Australia. Yes, I know that there are different interpretations of New Zealand’s signature grape, but the most successful is the one that someone described as a “bungee jump into a gooseberry bush”. With some residual sweetness, of course. Some people dismiss Sauvignon Blanc as a one-dimensional grape wherever it’s planted, but I’m not among them, even if I prefer Riesling and Chardonnay. Drinking a great Sauvignon Blanc is still a huge pleasure, especially when it’s wooded and blended with Semillon in Bordeaux. Most of the fuss at en primeur time is about the reds, but when they are good, the wines of Pessac-Léognan and the Graves deliver a unique set of aromas and flavours. And they are often great value, too. I’d also put in a word for Sauvignons and Bordeaux style blends from South Africa, where cooler climate areas such as Cape Point, Durbanville, Elim, Elgin and parts of Stellenbosch are producing some impressive wines, as well as coastal Chile, high altitude Argentina and, of course, Austria. I’ve had some truly outstanding, age-worthy examples of the grape from Styria. And yet the region that produces the most thrilling – as well, it must be said, some of the thinnest, meanest and greenest – versions of stand-alone Sauvignon Blanc is the Loire Valley, especially the Upper Loire appellations of Sancerre and Pouilly-Fumé. To taste the former from clay-limestone or the latter from flint soils is one of the joys of wine. And if you want something cheaper, there’s always nearby Menetou-Salon. Sancerre is almost as easy to sell as Marlborough Sauvignon Blanc, and at even higher prices, but it doesn’t strike me as a cynical, churn-it-out type of place. Domaines such as Delaporte, Pinard, Vacheron and Alphonse Mellot are striving to produce exceptional wines with a genuine sense of place. Dry, crisp, mineral and refreshing, these are exceptional whites. The idea that such people can learn anything from New Zealand – or, worse still, from a novelty wine like Kiwi Cuvée – is absurd.